Amazon made headlines last year when the Australian Financial Review reported that the US-based e-commerce giant was going to launch in Australia in September 2017, sparking concerns about how that could affect the retail market in the country. While Amazon has never officially confirmed or denied this news, it seems the internet company is getting ready to make its presence felt Down Under by advertising for the first round of jobs. Vacancies for over 130 jobs have been advertised so far, with 104 of them based out of Sydney for Amazon Web Services. To house the expanding workforce, Amazon has leased extra space in the 47-storey building in Sydney’s CBD it rented last year. The Brisbane-based job listings explicitly mention AmazonFresh – our first confirmation that the grocery arm is getting ready to launch in Australia. 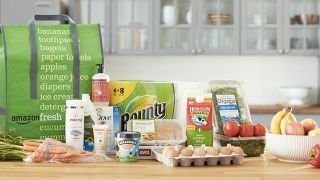 AmazonFresh is a fast and cheap delivery system that’s got many American shoppers hooked and is growing in the UK as well. There’s no word on local pricing, but in the States the service is available as part of an Amazon Prime subscription for an extra US$14.99 per month (around AU$20) after a 30-day free trial. The company has also up a 1,800 square foot hi-tech convenience store called Amazon Go near its head office in Seattle, rumoured to be a prototype of the brick-and-mortar model it plans to roll out globally. With Amazon’s launch Down Under imminent, we could look forward to the company delivering our goods via drone.